The end of summer. Fresh strawberries. A local farm. Eggs, cream, milk, sugar. The beginning of a new school year. My kids. These are a few of my favorite things. I thought maybe making some fresh strawberry gelato from the strawberries we picked up at the farm down the street could be a new family favorite tradition to mark the end of summer and the beginning of a new school year. And so this year I surprised the kids when they got home from their first day with this little treat. They loved it! And most of all they loved the idea that every year would be marked with some kind of fresh gelato or ice cream. A wonderful segue into homework, busy schedules, early mornings, and lunches that aren’t served pool-side anymore. 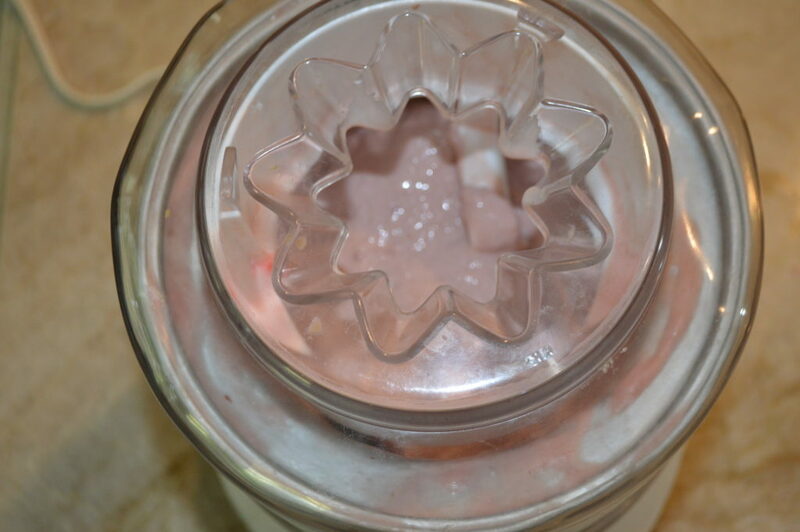 Making homemade ice cream or gelato is super easy. It does require an ice cream maker though so if you don’t already have one get one or borrow one. I have an inexpensive Cuisinart version that is probably ten years old and works great. Gelato and ice cream are similar but typically gelato is made with milk and not all heavy cream. 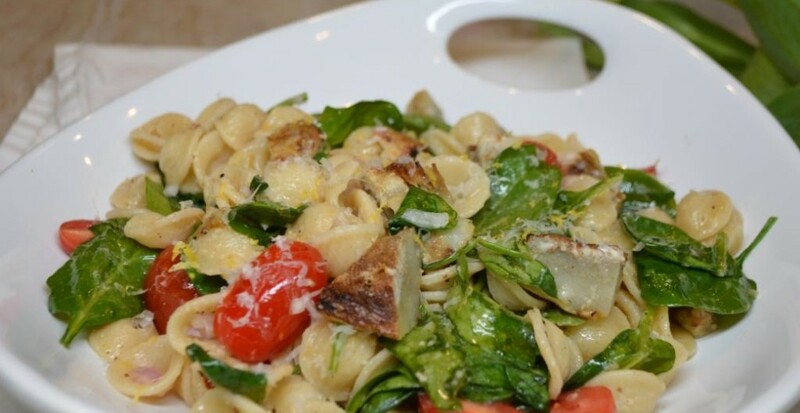 It has a lighter mouth feel and more intense flavor which is why you should infuse it with whatever flavor you love best. For us, we love strawberries. Especially those end of summer – kissed by the sun kind of strawberries that taste worlds better than the cardboard flavored kind we get during the winter at our grocery store. 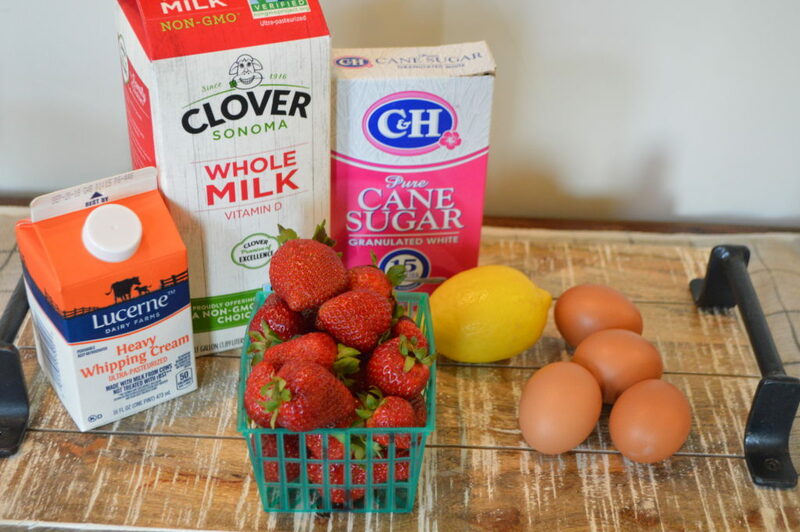 Follow the easy steps below to make the base (eggs, sugar, milk, cream and salt) and then pour in your flavor (strawberry puree with lemon zest) and chill the base. Then add to an ice cream maker and you are done! I elected to add in some additional strawberries with lemon zest at the end to make my gelato a little bit chunky. You can omit this step altogether if you prefer a smoother texture. Just a preference thing. 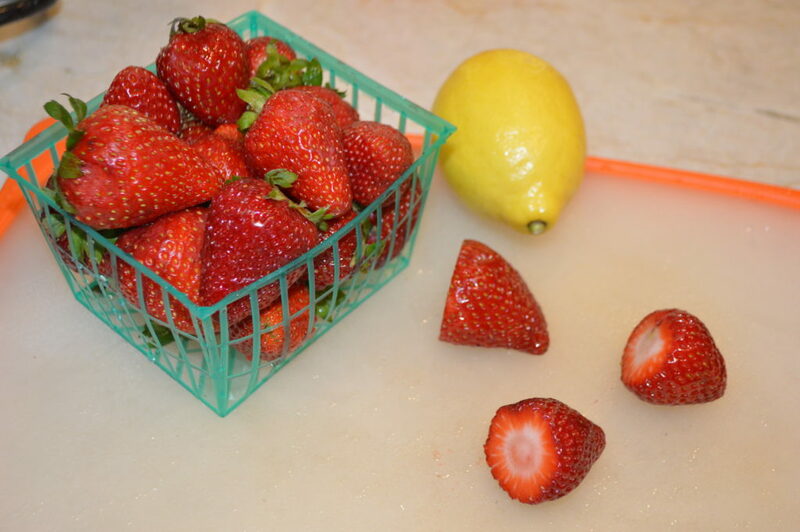 Or you could soak the strawberries in a little sugar and lemon zest and serve them on top! 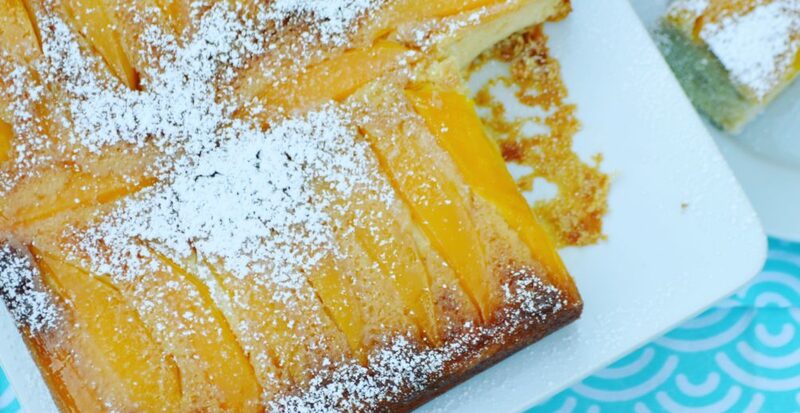 I highly recommend a little bit of wafer cookie and maybe even a drizzle of a finishing glaze. I have some fig balsamic finishing glaze that really pairs well (if you are serving for guests or just want to make this a little fancier). 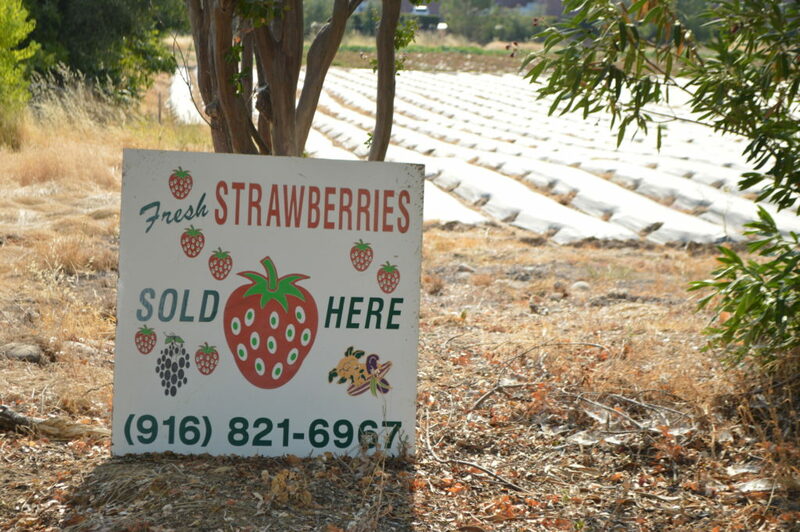 It all starts with a trip to the local strawberry farm down the street…..
Run it through a strainer and set aside. Next move on to making the base. Heat a heavy bottomed pan over medium to medium low heat. 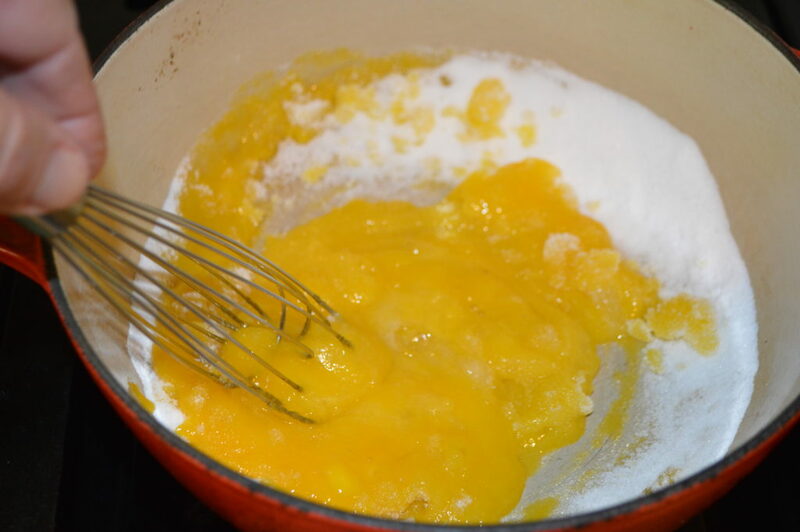 You don’t want to scramble the eggs so this part you need to be a little bit careful on and have your ingredients ready to go so you can get them all in the pan quickly. 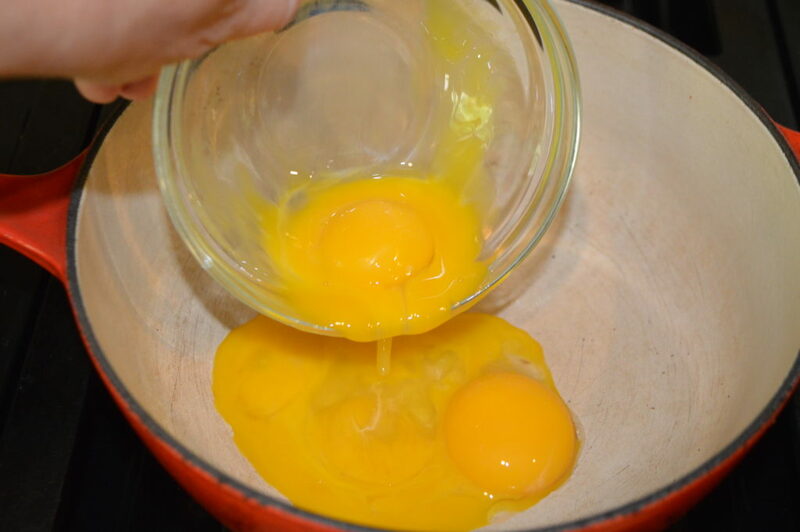 Starts with 4 egg yolks. 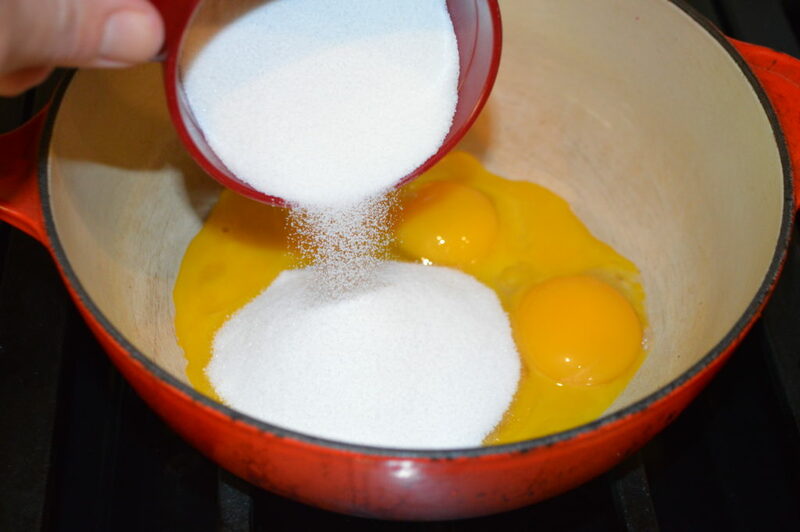 Add the sugar to the egg yolks. 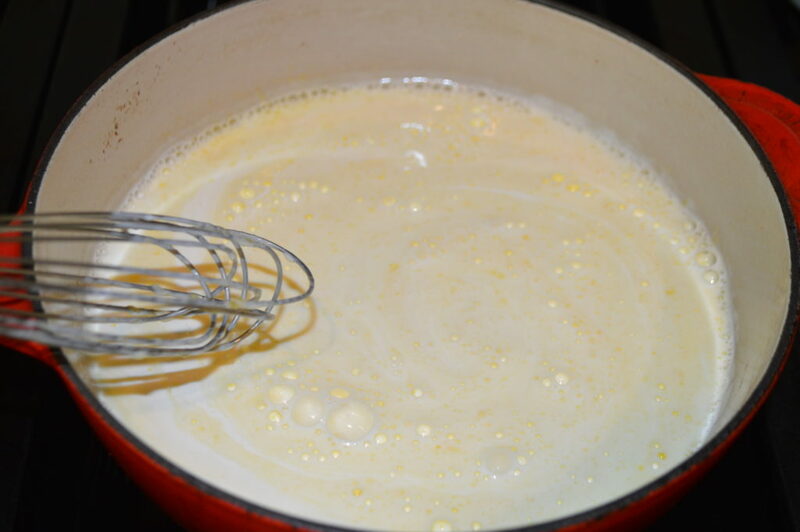 Add the milk and cream to the pan and whisk to combine then gently stir as it heats. It should not come to a boil. 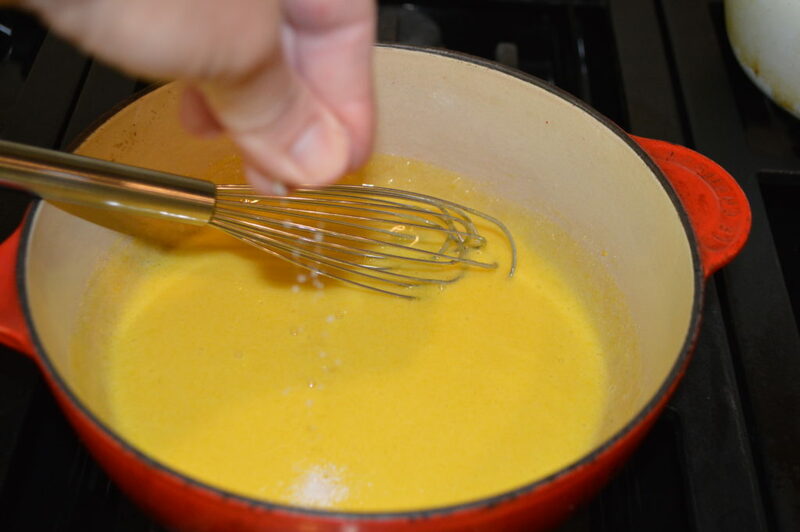 Just get it all the way warmed through so that the base is slightly thicker. Use a wood spoon or rubber spatula to stir. 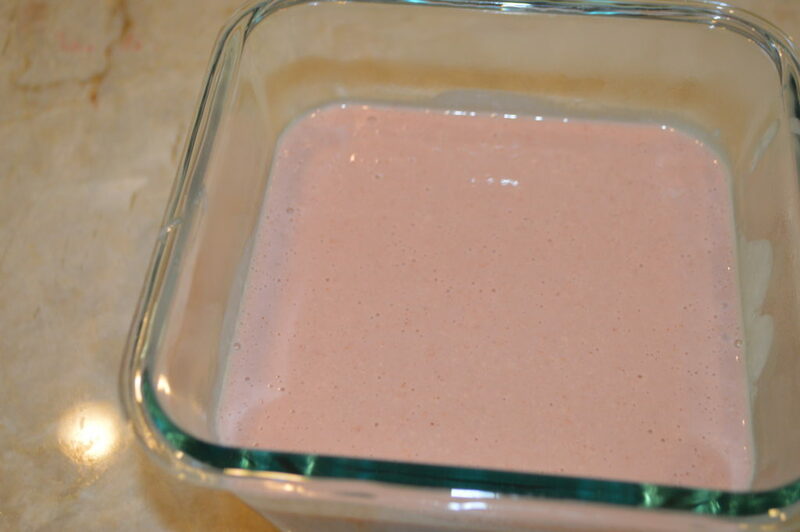 Remove from heat and add the strawberry puree into the egg and cream base and gently stir to combine. Place a piece of saran wrap over the top and refrigerate for about 2 hours or until chilled. Once it’s chilled out for a bit get your ice cream maker set up. 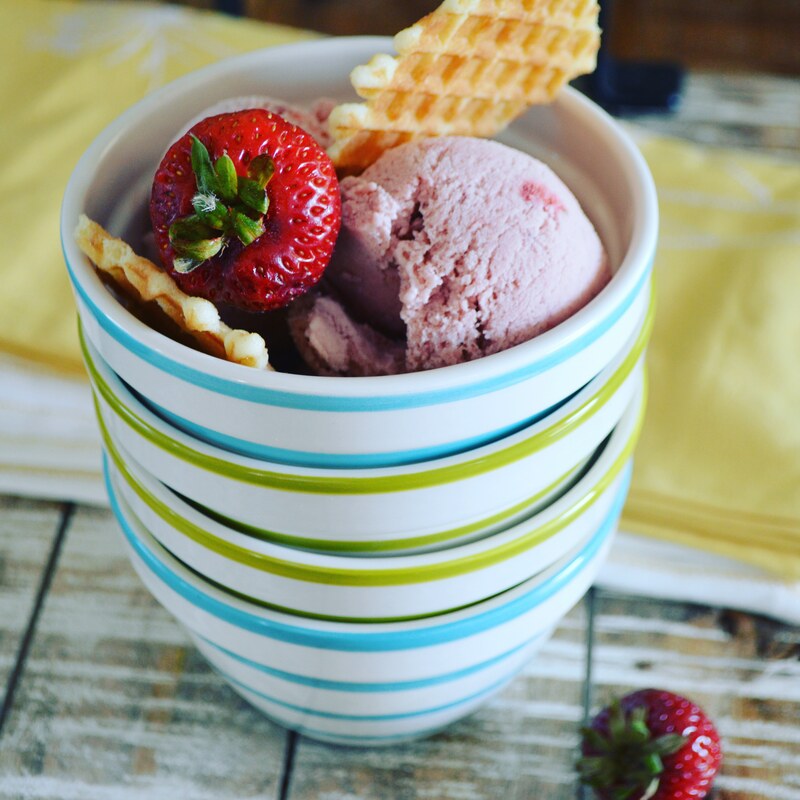 Simply add the gelato base into the ice cream maker and process according to the manufacturer’s instructions. This is where the mixture gets light and fluffy and sets up into the delicious frozen mixture we call Gelato. Mind took about 10-15 minutes and it was perfect! I add the chunks of fresh strawberries with more lemon zest (I like the extra flavor and texture) in towards the middle of the processing time. 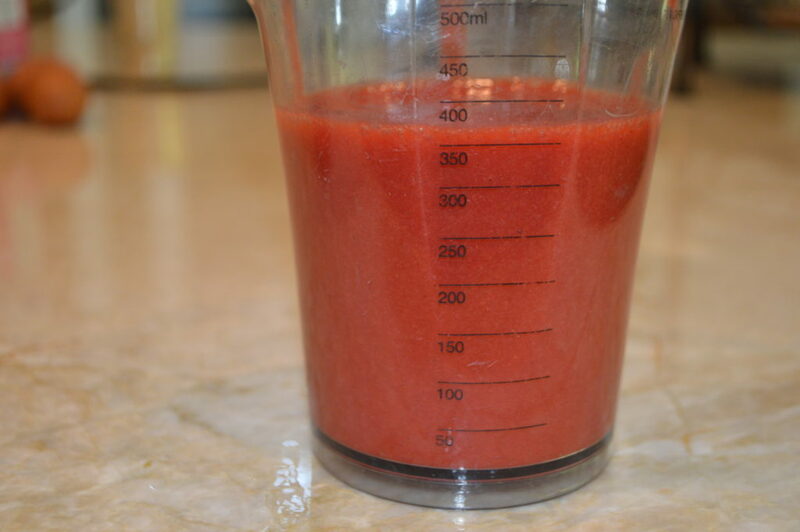 Make the strawberry puree. 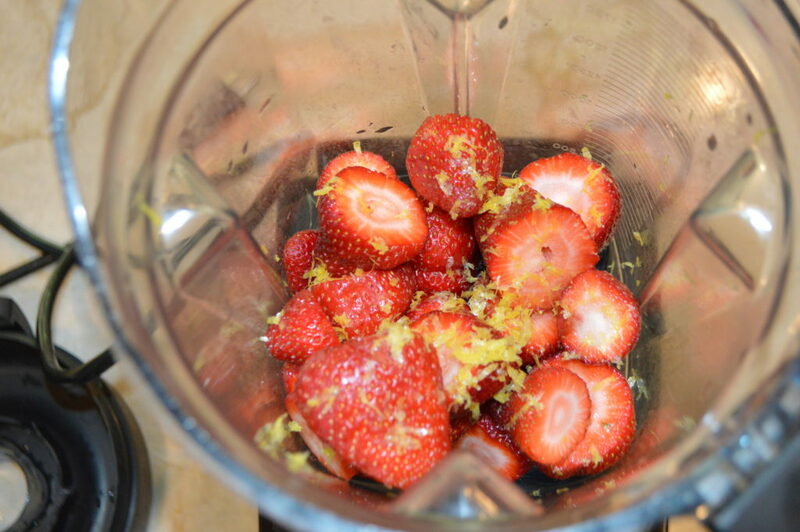 Cut the tops off all the strawberries (and wash them) and add about 1 1/2 pints to the blender. Reserve the other 1/2 pint for later. 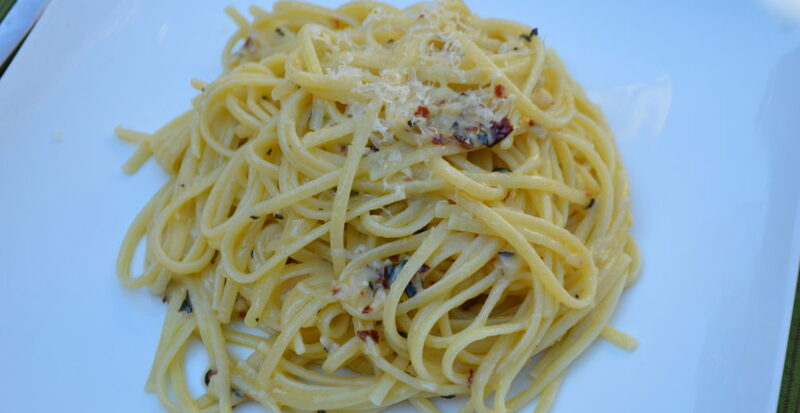 Then top with zest of 1 lemon and 1 Tablespoon lemon juice. Puree, strain, and set aside. Heat a medium heavy bottomed pan over medium to medium low heat. 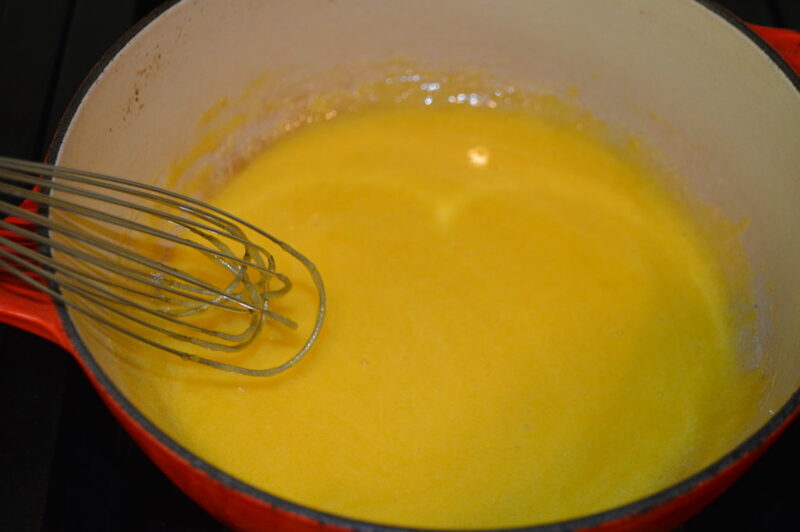 Add the eggs and then the 3/4 cups sugar and whisk to combine. 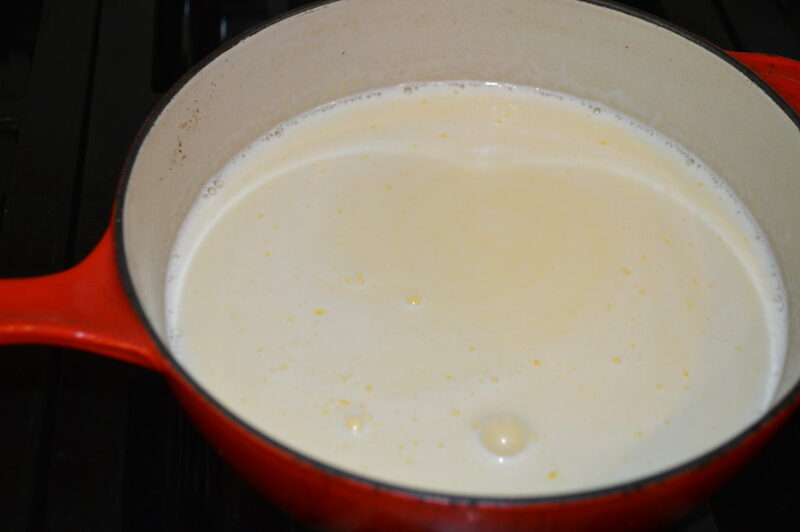 Then add a pinch of salt, milk and cream. Stir to combine and be careful not to let this mixture come to a boil Heat gently through until starting to thicken. 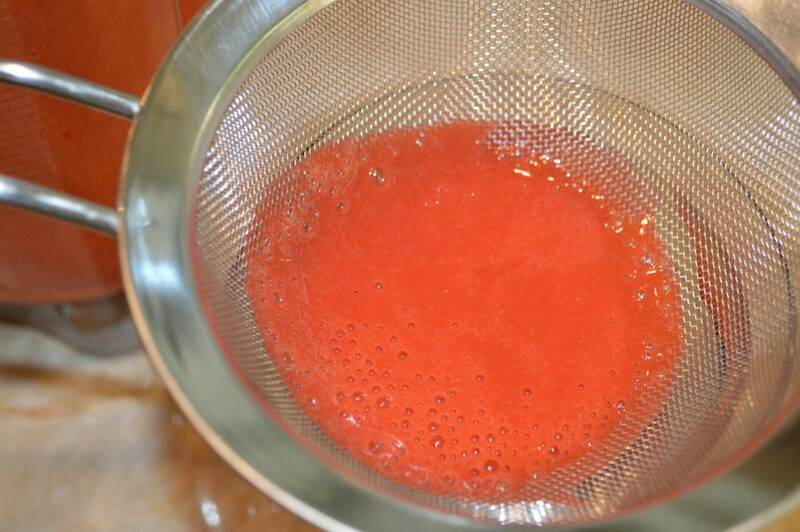 Remove from heat immediately and add in the strawberry puree. Cover and refrigerate for 2 hours. Take the remaining 1/2 pint of strawberries and cut them up into desired sized pieces. Add them to a bowl with zest of 1 lemon and about 1 tablespoon or so of lemon juice and sugar. Set up the ice cream maker. Add the base to the ice cream machine while it's running and process according to the directions. 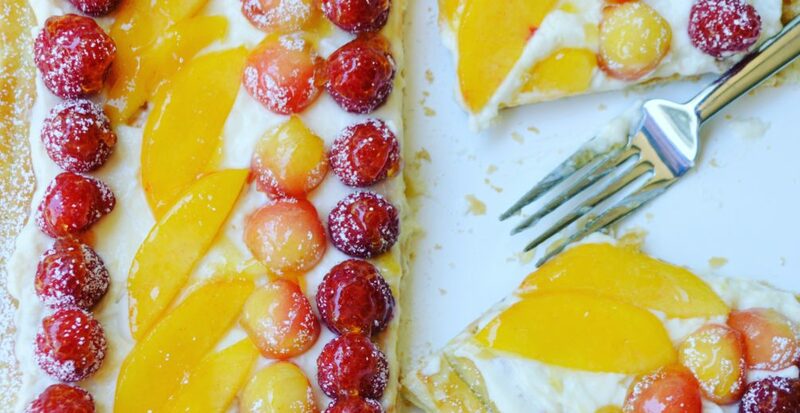 Add the chunks of strawberry and lemon zest in towards the middle but don't wait until the mixture is full formed or it will be tough to incorporate.